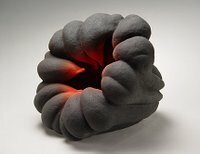 Katsumata Chieko's organic looking sculptures just makes me want to reach out and touch every crevice, crack, pockmark, curve and edge. Earthy yet refined, textural yet flowing, her sculptures really speak to me. What do they say to you? 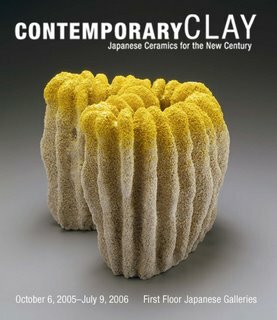 Those of you in the Boston area, do try to visit this exhibition. 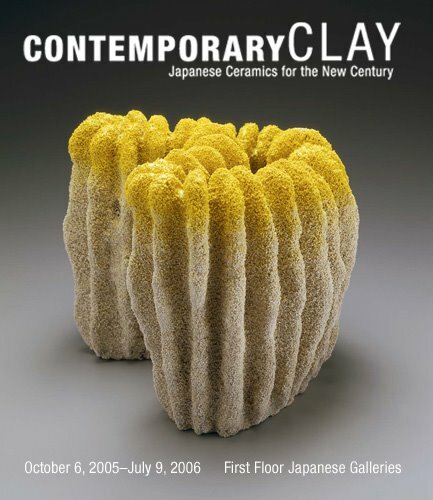 I am sure you will see some masterpieces of contemporary ceramics that will make me cry in envy. Stephen - I am incredibly jealous! Lucky, lucky you!